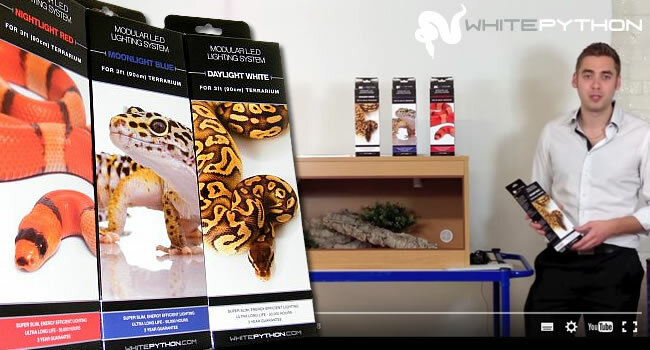 For those of you that have been following our blog you may remember that we ruffled a few feathers with our ‘ Leopard Geckos Do Need UVB!‘ blog a few years back. We have since included a UVB tube in each of our online setup lists for this and similar species and have had a pretty great response from owners. 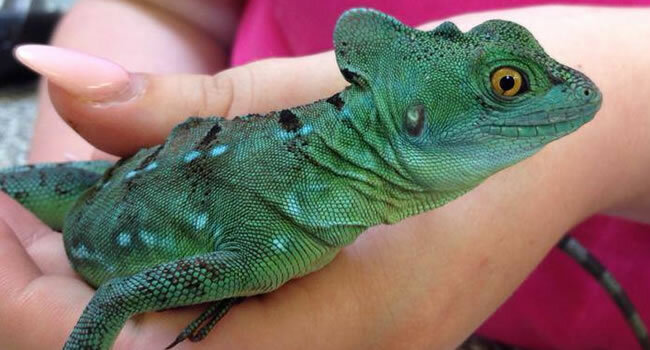 Healthier and happier geckos for everyone! In addition to their current lighting revolution, Arcadia has brought a brand new product to market, specifically designed to provide the perfect amount of UVB for your crepuscular species. 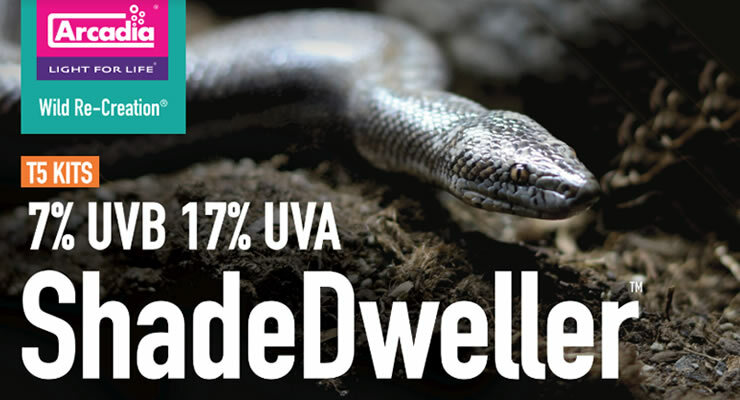 The new Arcadia Shadedweller lamp is designed to put out 17% UVA and 7% UVB at 400 Lumens making it a great lighting solution for crepuscular geckos and many amphibians. They have released this tube for use with their normal UV controllers or with the new Pro-T5 holder and Mini-T5 holder. The lamp is a mere 12” in length and has been designed to fit across one of your side walls rather than across the length of your enclosure. This kind of set up almost guarantees a pleasing UV gradient from one end to the other and helps prevent overexposure. After much testing, they have found an average UVI of 08.-1.0 at 10” from the lamp which is their recommended basking area. 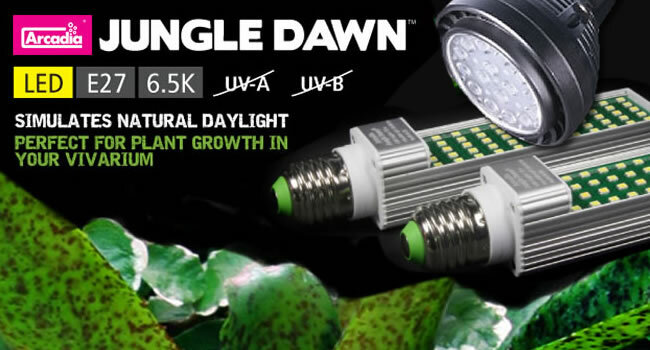 This new bulb is perfect for use with many popular species including leopard geckos, crested geckos, dart frogs, royal pythons and many other reptiles and amphibians. We’ll definitely be giving them a go in the store! The Arcadia Pro-T5 canopy kit is a very sleek and tidy looking holder for Arcadia’s 8w 12” T5 lamps. 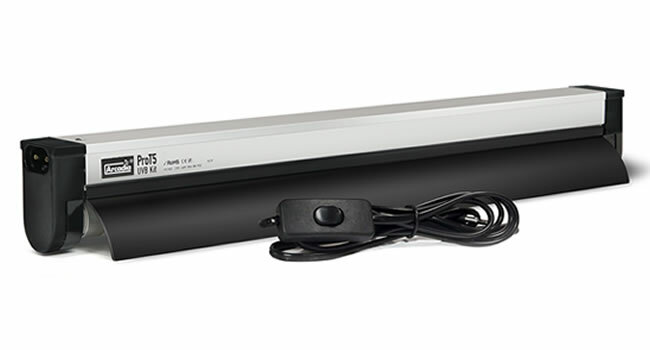 It’s very similar to their popular luminaire with a metal body and matte black plastic finish. As the unit has a semi-circular curved reflector it can be stood on top of mesh top terrariums however this kit is also designed for use in wooden vivariums and can be fitted directly to the ceiling using the included fitting kit. The unit comes with a built-in reflector for more control over your basking area but this can be removed if you have a larger enclosure and would prefer to light it a bit more. The unit has a thin power chord including an on-wire switch to make it as easy as possible to turn the unit on in the morning and off at night. This kit also comes with a free ‘link cable’ allowing you to run multiple Pro-T5 units from a single power chord. Each power chord can power up to 10 units making this unit a great choice for keepers who struggle for plug sockets. Simple, refined and as compact as possible. This unit may not be quite as pretty as the Pro-T5 kit but it may be more practical. This kit is designed for horizontal mounting to the ceiling of your wooden enclosure and is extremely thin!. The entire unit is barely thicker than the half inch T5 tube meaning it can be fitted to shallow enclosures. 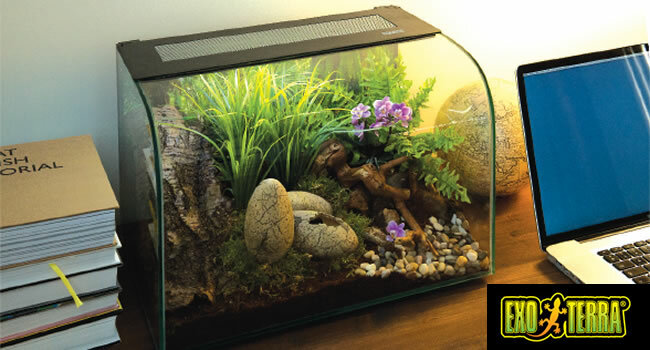 We would advise this unit over the Pro kit for vivariums under 40 cm in height as it will fit in much better and has an ideal basking area of 20-30cm from the bulb. 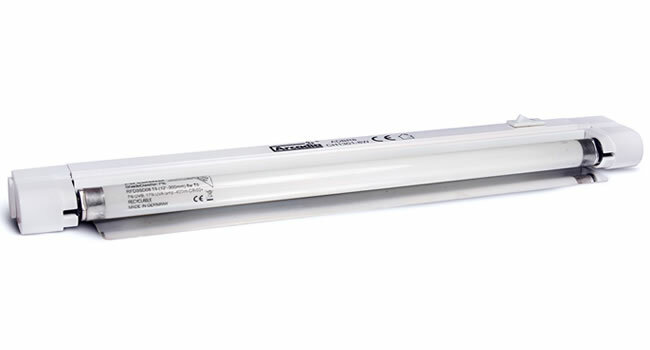 The unit is mostly crisp gloss plastic with mounting space for the Arcadia 8w 12” UV tubes. Above the mounting area is a flat reflector for optimal projection. The unit can be mounted to the side shining light into the enclosure or inside the tank facing toward a wall if your gecko/frog prefers it a bit dimmer. As with the Pro-T5 kit, this unit comes with a ‘link cable’ and can be connected to up to 9 other Mini-T5 units all powered by a single power cable. 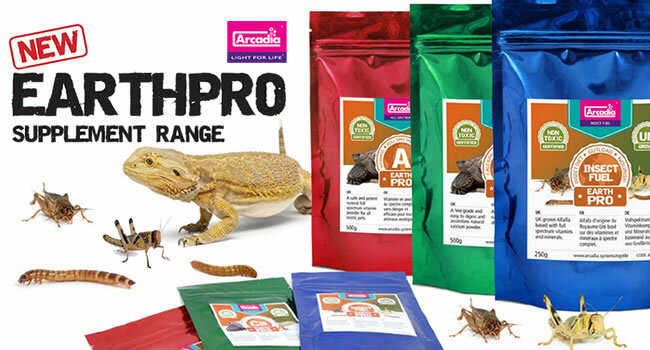 If you have any further questions regarding this item and its application please feel free to contact us on 01604 753823 or at sales@reptilecentre.com .